HAPPY BIRTHDAY, MAESTRO AKIRA IFUKUBE! 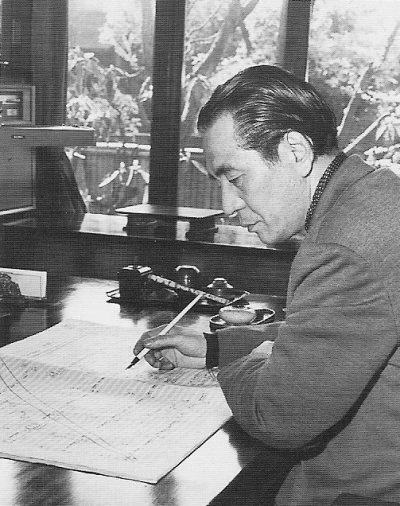 The Maestro scoring KING KONG VS. GODZILLA, 1962. To read more about Maestro Ifukube, please visit the Official Akira Ifukube English Website! I remember getting really choked up when I heard that Ifukube-sensei had passed. His music was one of the big reasons I became a fan of Japanese Sci-Fi.